Michael Smirnoff is a well-known political person, one of the most active participants of the democratic movement. He has acted as one of the founders of the Popular Front in Saint-Petersburg in 1989, he was a people's deputy in 1990-1993. Fulfilling his public duty as a people's deputy, Michael Smirnoff worked very much at the Plan and Budget Committee and at the Legitimacy Committee. Michael Smirnoff was an initiator of the creation of the Free democratic party of Russia Ц SvDPR, that was headed by Marine Sallier (1934-2012). 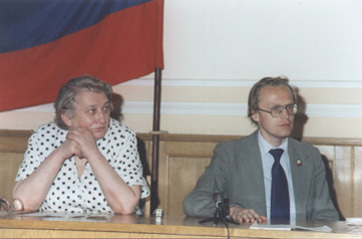 Michael Smirnoff directed the Central office of the SvDPR since June 1991 up to the termination of activity of the Party. 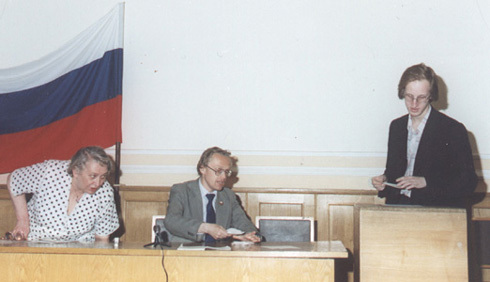 Michael Smirnoff in 1996 moved forward the presidential candidate of Russia. On the 4-th March of 1996 the Central Election Commission registered the initiative group on Michael Smirnoff's promotion on a post of the president of the Russian Federation. 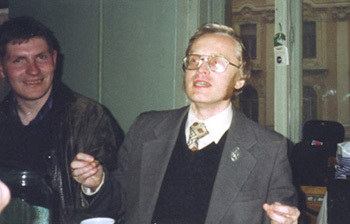 On the 11-th October, on the 15-th November of 2000 and on the 24-th January of 2001 Michael Smirnoff was three times proposed by the candidate for the public advocate for Human Rights in Saint-Petersburg. After the illegal revolution which is carried out by Boris Yeltsin in the autumn of 1993 and after the split of the democratic movement which is a consequence of the illegal revolution, the activity of the Free democratic party of Russia gradually comes to naught, and on the 21-st of March 2012 in Saint-Petersburg the permanent leader of the SvDPR Ц Marine Sallier dies from a heart attack.